Somewhere in the dreamy Maldives, visitors can now find the world’s first underwater nightclub, a surreal place called Subsix that’s part of the Per Aquum Niyama resort. Perfect for exclusive weddings, themed evenings and intimate subaquatic lunches, this underwater playground sits six meters below the waterline. It’s unlike anything you’ve ever seen, and just to get here you’ll have to get a speedboat from the resort and skip over the reef to its 500-metre offshore location. Upon arrival, the underwater revellers will have to descent a jaw dropping three tier staircase to the underwater bar, restaurant or club, while overhead stunning chandeliers will illuminate the descend. Just under the azzure blue waters of the Indian Ocean, Subsix feels like The Abyss. In this incredible atmosphere I can already see some movie directors drooling and thinking about their next scene, filmed within this location, offering mere mortals a chance to enjoy it even if for a few brief moments. 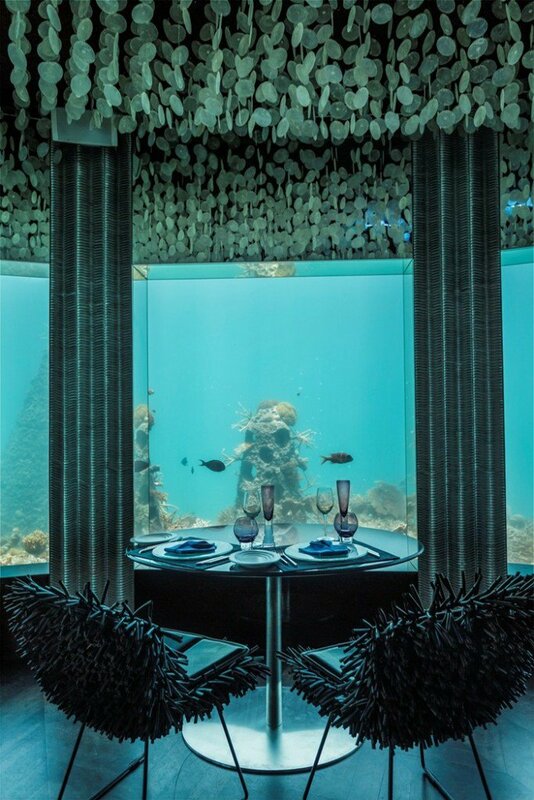 Of course, this jaw dropping restaurant offers the most stunning views, with over 90 coral reef species plying the waters around this place, but it also offers unique experiences and activities as well. Subsix hosts biologist-led immersions into the alluring aquatic life, wine tastings, DJ nights and even a weekly Glow Party. I guess this could easily explain why we don’t see Aquaman all that often.